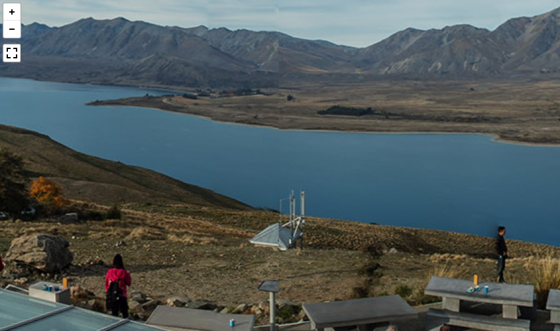 Overlooking Lake Tekapo, on the summit of Mount John at 1,036m above sea level, the Astro-Café is the ultimate mountain top refreshment stop. Enjoy coffee and bakery fare with award-winning views of Lake Tekapo, the Mackenzie Basin and the Southern Alps. Also home to New Zealand’s premier astronomical research observatory, the unpolluted night skies make this an unsurpassed spot for star-gazing with observatory tours offered by Earth and Sky. Lonely Planet calls it “possibly the best place on the globe for a café”.